Last night, I started to write a post and midway through it I realized my writing was just one meandering mess. I woke up at 3am and asked myself, what I am trying to say and that's when it hit me. My 2nd cousin 2 times removed, Mary Jane Gatlin was trying to tell me...Heh, What about me? Don't forget about me. Let me explain. 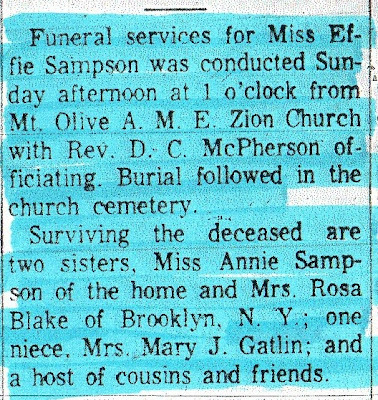 Their children: Alfred, Annie, Effie, Eva Sampson (died in infancy), and Rosa Sampson Blake. 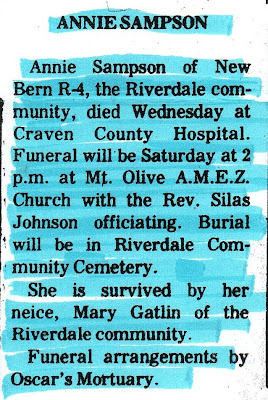 I have chronicled my findings about my Mitchells and Sampsons of Riverdale, NC in many different blog posts but I had yet to write about Mary Jane Gatlin. 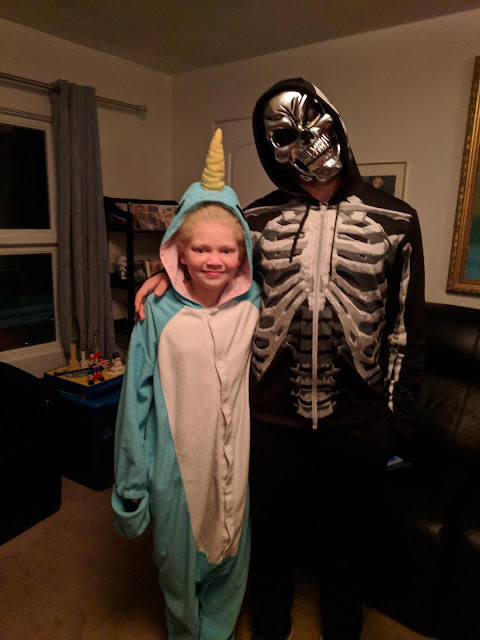 I didn't know her personally, but her name kept popping up in different places. 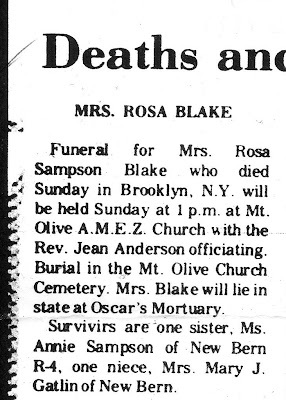 I first came upon her name in the obituaries for Effie Sampson and Rosa Sampson Blake. 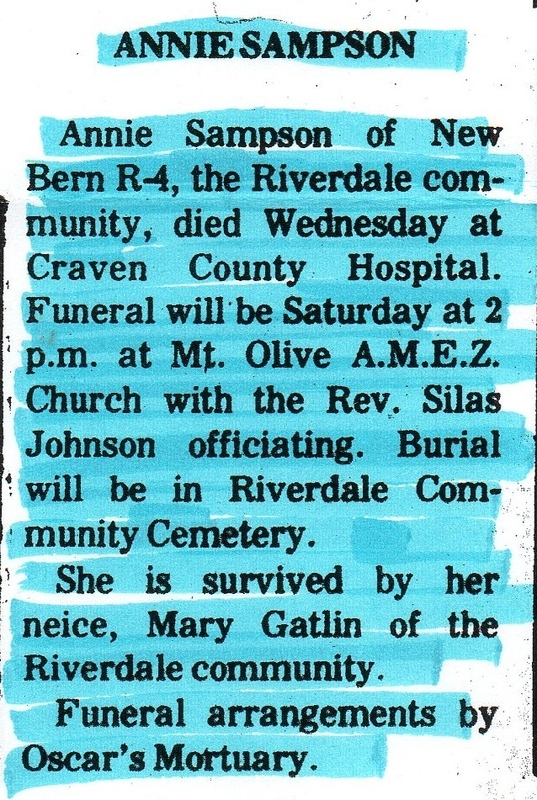 And then lastly, on the obituary for Annie Sampson. 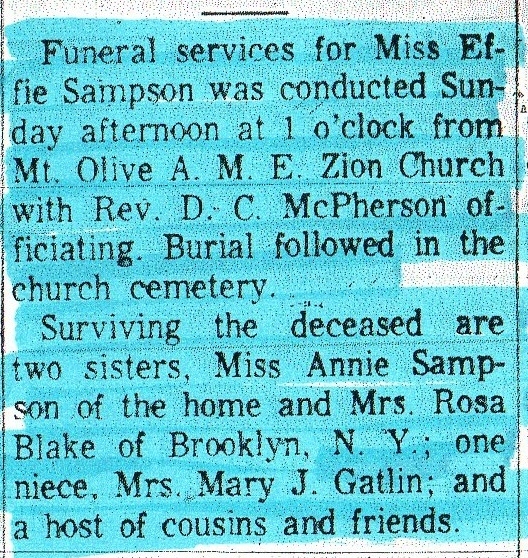 So Mary Jane Gatlin was listed as a niece to all three Sampson sisters, This made me think well perhaps their brother Alfred was the father of Mary Gatlin. That's when I started to dig a bit. I consulted the North Carolina Death Collection on Ancestry.com and found her death record. I wasn't expecting to find the maiden name of Henderson. 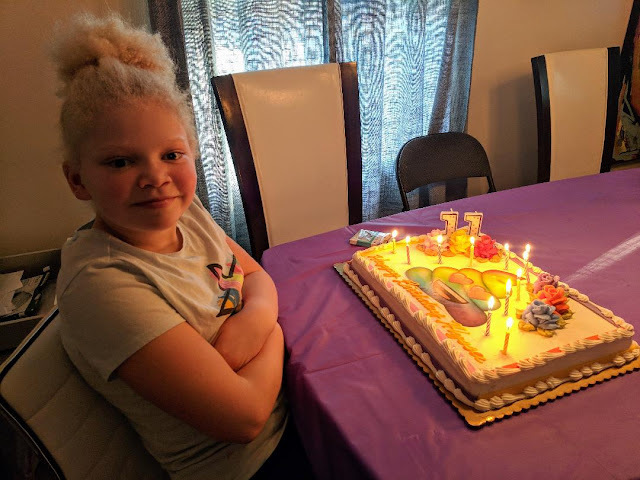 I started to think perhaps Alfred Sampson wasn't her father. This was in early 2011. My attention was then steered toward a different family line and my thoughts about Mary were set aside, that is until my recent phone conversations with a couple of lovely ladies from the Riverdale, NC area. It turns out that yes indeed, Alfred Sampson was the father of Mary. 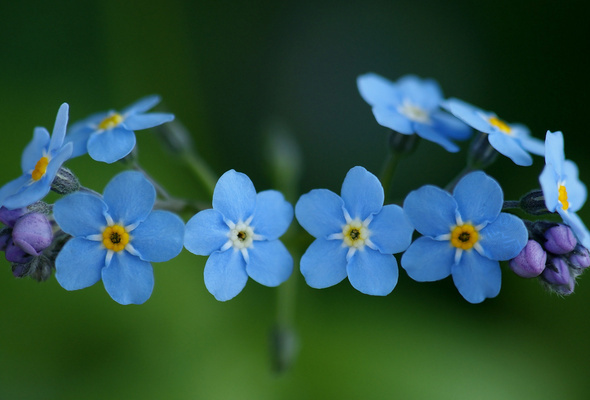 Mary's mother and Alfred never married. After these conversations I started back at digging up information on Mary. 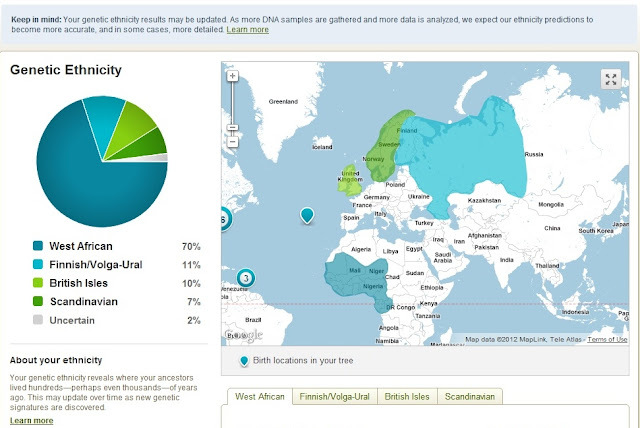 I am loving FamilySearch.org. these days because they have a ton of records that are accessible on-line for Carteret and Craven Counties. 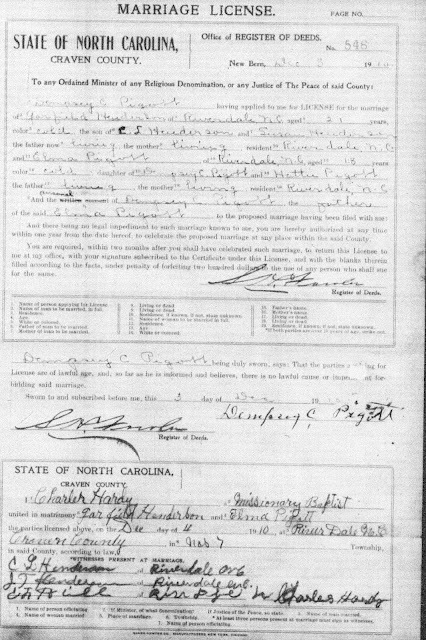 Here is the marriage record for Mary Henderson to Simon Gatlin which led me to the name of Mary's mother. 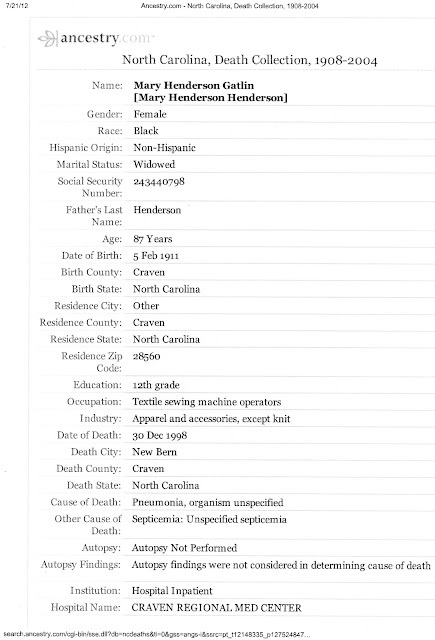 So I knew at this point that Mary was born in 1911 and that her mother was an Elma Henderson. 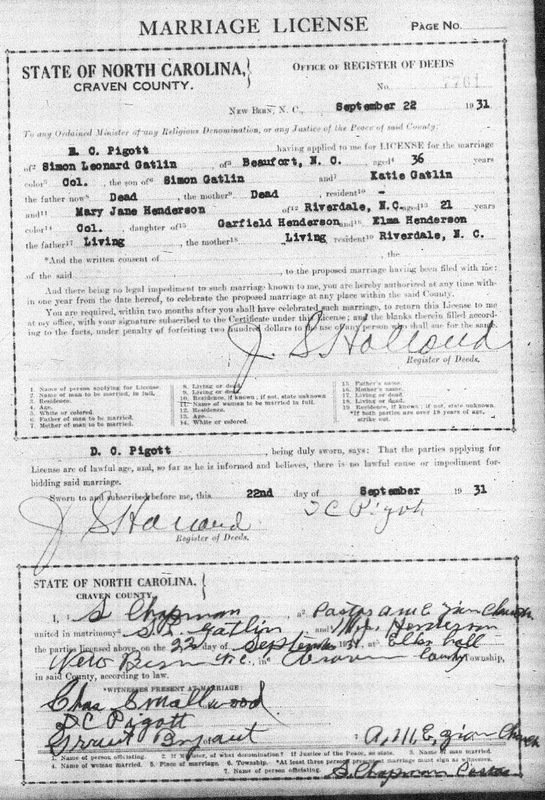 I did not know Elma's maiden name but that's when I checked to see if I could find a marriage record on Garfield Henderson and sure enough there was one. So Elma Henderson was Elma Pigott before she was married to Garfield Henderson. Mary's birth date on the death collection record said 1911. It looks like to me that Elma, being in a family way, was quickly married off to someone else since for whatever reason Alfred and her never married. 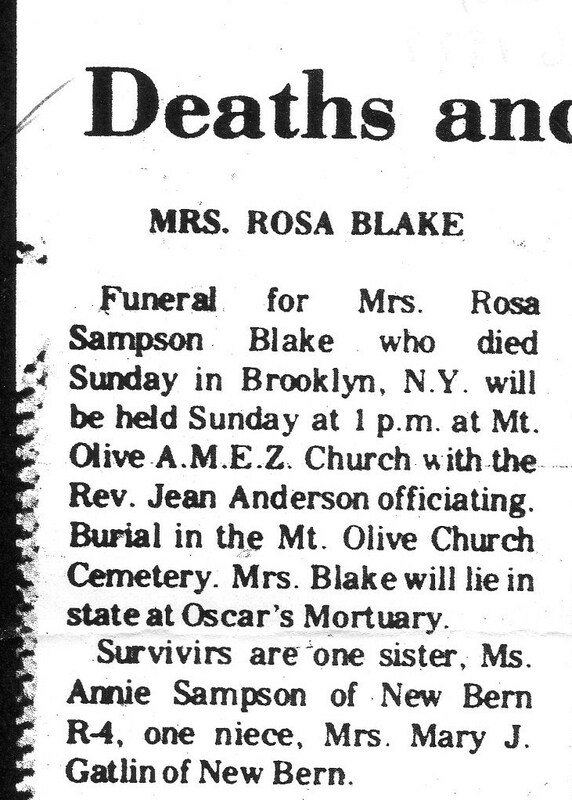 Now after I was done talking on the phone with my new Riverdale connections, I remembered a conversation that took place in a car ride with my Aunt Rosa and Uncle Nat from Morehead City. I visited them down in North Carolina back in the summer of 2002, along with my parents and brother. I remembered on the car ride from Coastal Carolina Regional Airport to Morehead City her pointing out an area along U.S. 70. She said "the family once had land back up in them woods there but they had sold it off." Now it all made sense. She was talking about where her cousins lived in Riverdale. I went next to the Craven County Register of Deeds and then said A-Ha! The land was sold back in 1998. Guess who's name was among the grantors? Mary Jane Gatlin you are not forgotten! You sure were a busy woman today...that is a lot of information. Yes I was...but you know how it is. When you're on a mission to put all the pieces together...you can't help yourself. There's that Pigott surname again! 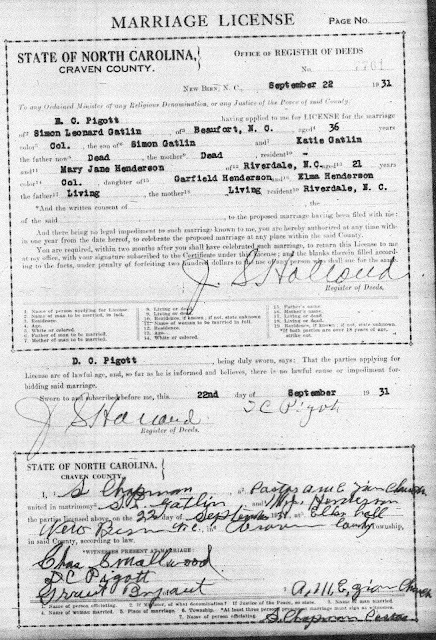 Since the Carters & Georges also served in Pigott households in Northampton County, VA before coming to Craven County, I would love to trace these back! Perhaps they were living together under the same masters! Love all the research you are doing Andrea.